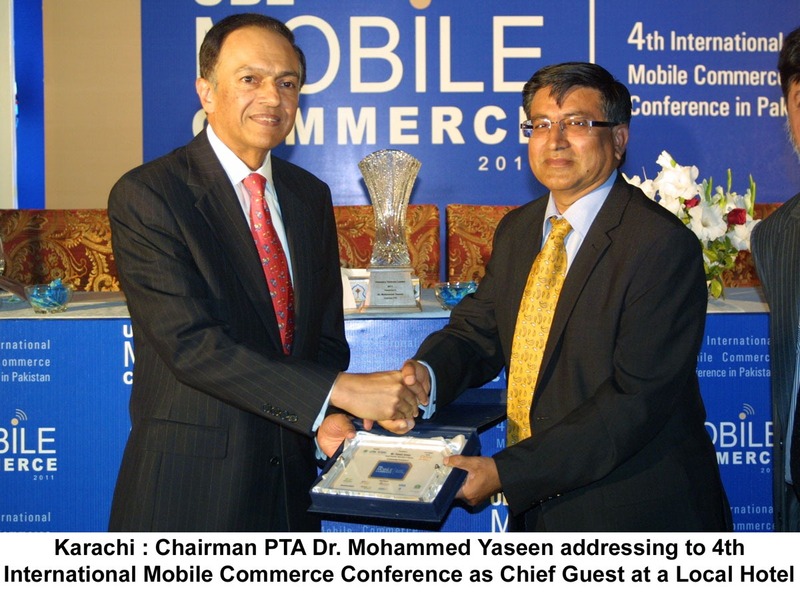 PTA has been working with State Bank on third party regulations and we would be able to come up with these regulation this year, said Dr. Mohammad Yaseen while addressing at 4th International Mobile Commerce Conference-2011. Addressing the conference as chief guest, which was attended by CEOs of banking and telecom companies, he said that mobile money is still in its emerging phases, there is consensus that regulations must be implemented gradually and designed to evolve as the industry expands and matures – an approach that seeks to respond to risks in the mobile money space as they emerge. Our Regulatory responses should then be proportional to the risks. He said that World Bank study reveals that only 12% of the adult population of Pakistan has access to formal banking services. Only 24 Million people in Pakistan have bank accounts. Today only technology in Pakistan can bridge the digital divide. Considering the scope, he added that PTA would like to introduce third party payment system with help of State Bank. The introduction of third party payment networks also known as MPSP (Mobile Payment Service Providers) would be of immense advantage since these third-party payment handing agents can work with many providers, rather than the closed networks. We could foresee opportunities for service providers (both from Banks and Mobile Sector) who move quickly to create new products, especially if they can establish shared networks of third party agents. Chairman PTA said that another critical concern will be consumer trust. Consumer protection is critically important in the mobile money space. The need will become even more pressing as the industry expands into unbanked segments (We would for sure address this critical factor as well while enabling true mobile commerce system for the people of Pakistan. 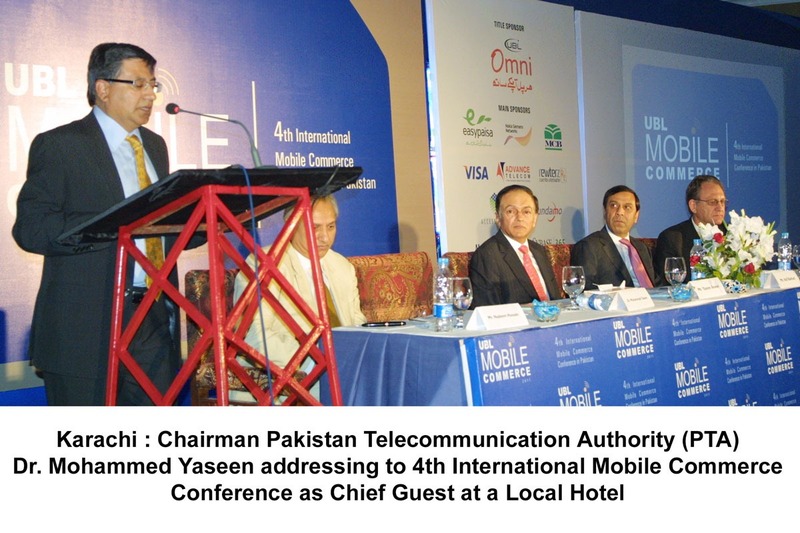 Earlier, Deputy Governor State Bank of Pakistan (SBP), Yaseen Anwar told the conference that over 0.4 million branchless mobile banking accounts have been opened collectively and more than ten million worth financial transactions took place during one and a half year in the country. "Banks today offer branchless services across the country in rural and urban areas with a network of over 14,000 agents," he said. He said the Central Bank issued branchless banking regulations in 2008 and today ‘we have Tameer Bank’s easy paisa, UBL’s OMNI, MCB Mobile, KASB Mobile and HBL-Ufone providing branchless banking services. He also stressed upon the bankers to develop aggressive marketing plans and campaigns to attract customers to visit the agent location for their banking transactions. On the occasion, the representatives of various leading banks presented papers and experience in mobile and branchless banking services being provided across the country. At the end of session Dr. Mohammed Yaseen distributed mementos and awards. He also received “Visionary Telecom Leader 2010” on the occasion. Paypal says it won’t be in Pakistan ever with current banking rules. Yea you are right we do have alternate but still paypal is most used service so at the current situation people of pakistan (freelancer) are suffering a grt deal. due to non availability of papal in Pakistan, we are suffering a lot. Hope Banks will take some positive action in this regard.